This is a blog post I’ve wanted to write for the last three years since I learned about the tech I’m now using. I’m SUPER excited to finally be in this place with my business that I can unveil this. Generation 3 revlimiter Gauges now exist!!! Sharka’s new Gen3 JNC gauges. This is what I’ve been doing with myself for the past month or longer. My blogging and online posting has suffered. I’ve gone weeks without much instagram presence. I’ve not been around much at home either. But… it was for a good cause. So what the heck does Gen3 mean? 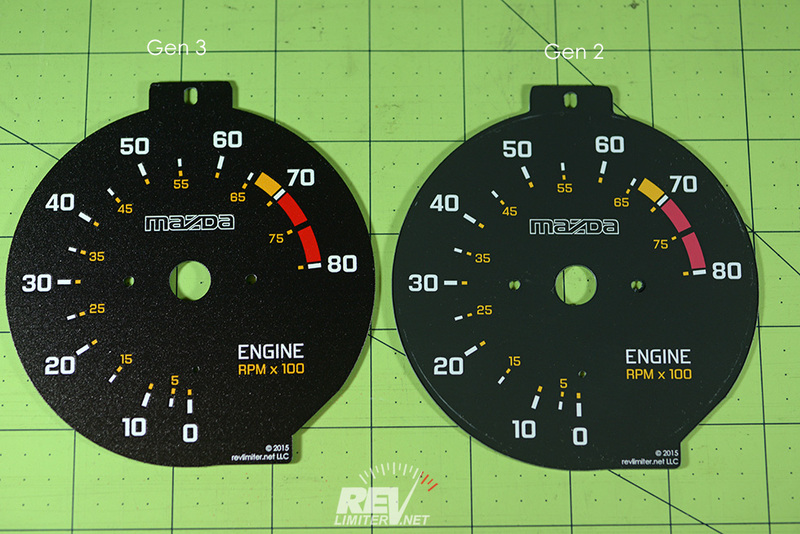 My 3rd Generation revlimiter Gauges are made in a completely different way than the thousands of Gen2 and Gen2.5 gauges made between 2012 and 2017 (or the handful of Gen1 gauges made in 2011). The previous gauges were a composite material cut by a flat bed cutting robot. I changed materials a few times over the years, but the production was always pretty similar. 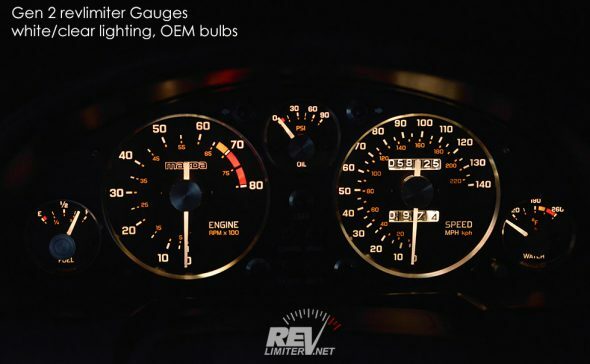 The gauges were quite delicate and very vivid colors were never possible. Gen3 gauges are laser cut from aerospace polymer and digitally screen printed to create a dial face that exceeds OEM quality. Using spot color printing, the gauges feature extremely vivid red zones and translucent black warning light areas. They’re also extremely tough and can be cleaned with water or chemicals. They should be pretty world-proof, but time will tell on that one. Digital screen printing means small changes to the artwork can be done on a special-order basis instead of being locked into an existing physical silkscreen that can’t be easily changed. Sure, a true screen-printed gauge will have a slight edge in quality, but I’d rather be able to do special orders than lock myself into a huge archive of screen prints. I’m confident when I say these are the best gauges being produced in the world today. 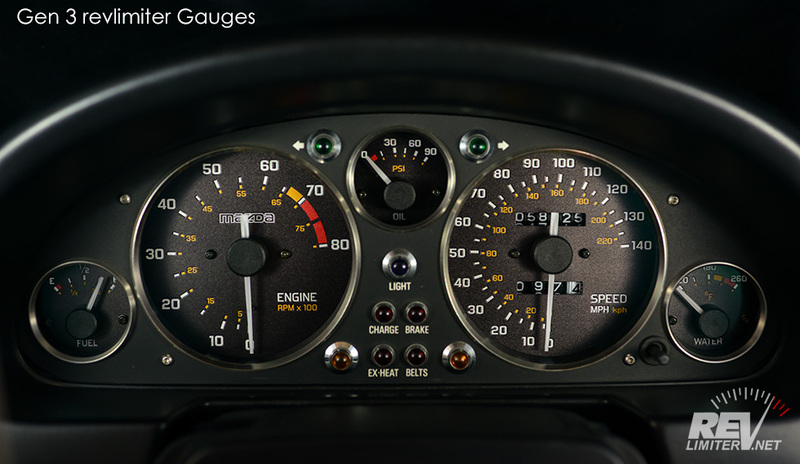 These are the JNC gauges that Sharka has been wearing for over the past year. They’re quite good and are one of my favorite designs. They feel very harmonious behind the wheel. I’m not in a hurry to change them to a new design. So since I liked the design so much, it seemed like a no-brainer to do a direct apples-to-apples comparison between the Gen2 and Gen3 gauges. I tried my best to have the same lighting and same exposure between the swapping gauges in my cluster. It’s not immediately obvious what the differences are. I’ll try to sum up. Gen 2 – true matte surface. No translucent blacks. No white inks. Blade cut on a machine after being printed. About 2mm radius possible error. Required hand finishing. 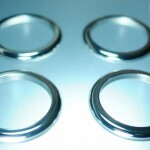 Gen 3 – OEM textured semi-gloss surface. Translucent spot colors. White ink. Laser cut prior to printing. About .3mm radius possible error. No hand finishing needed. 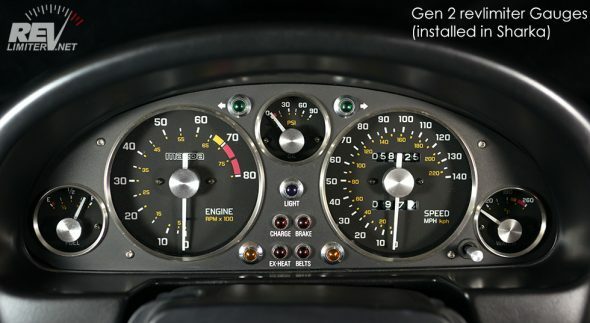 But a better comparison can be done by laying the gauges next to each other. 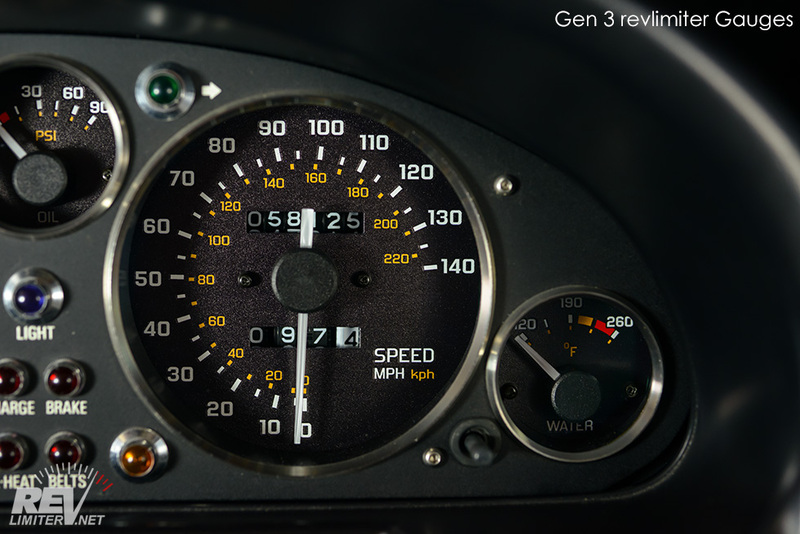 New tach vs old tach. You can see what’s going on here a lot more easily. Gen 3 has much better colors, materials, and accuracy. 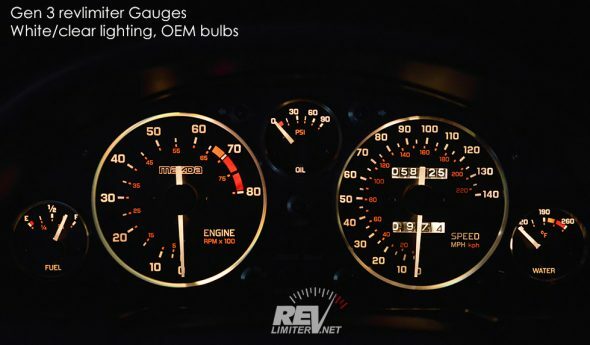 They actually exceed OEM gauge quality. I’m really proud, you guys. These are best compared by clicking on one of the images and then paging back and forth with the image zoom viewer. The best and brightest lighting I was ever able to achieve was with my Gen2 gauges. The Gen2.5 used a tougher material that showed a bit better colors and was a little more resilient to moisture, but it didn’t allow quite as much light through. The Gen3 material allows MORE light through than the Gen2! As I said above, I’m SO happy to finally be able to use this tech and make these gauges. I’ve dreamed of this for at least three years. 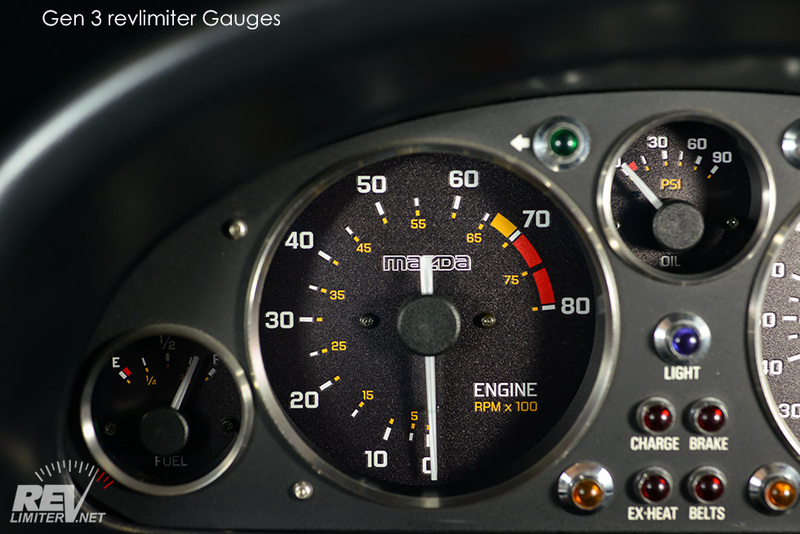 Yes – NC gauges are coming. I needed these tools and the knowledge and experience in their use before I could produce NC gauges. I expect to have some in my store in less than a month. 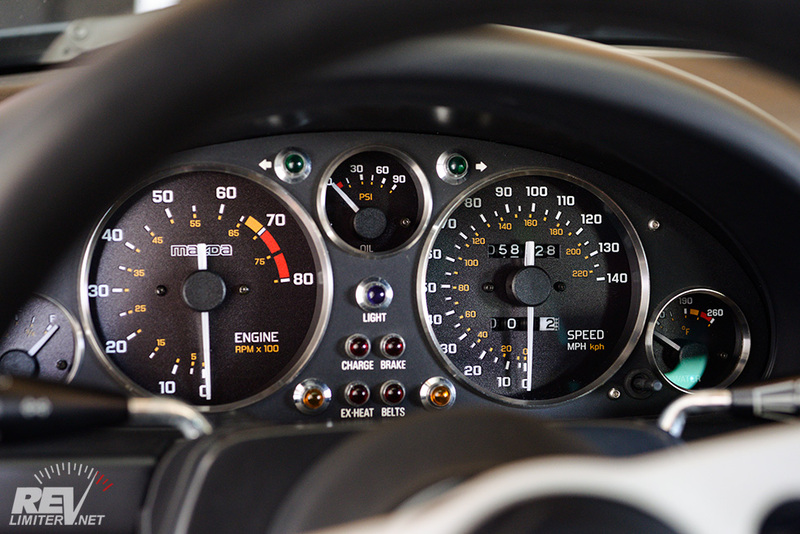 Yes – NA and NB gauges are here. Anything ordered in the past week or so has been filled with a Gen3 gauge. I have to update ALL of the photos and pages in my store to reflect this. I’ve done a handful of NA gauge pages at the time of this writing. No – Civic/Suburban/Supra gauges are not out. But they might be in the near future. I’m hoping to be able to expand and fill more clusters besides just Miatas soon. …. and that’s all I can think of. Got questions? See any glaring problems? Comment below please! Glad I’ve been waiting to order my gauges until after I do my 6 speed swap. Laziness finally pays off! Let’s hear it for lazy!! These look fantastic, Adam. You’re right that it is tough to tell the difference unless you’re looking at them directly next to each other. Yup! I’ve been working on those and the NB center panel. That said, the NA dummy light for the battery is worthless. I have a voltmeter in my dash for that very reason. 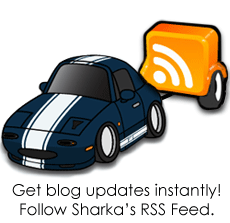 Sharka’s had many bad alternators over the years and I never know when another is on the way out. A buzzer is good, but a voltmeter, though antiquated, really tells you the whole story. Coincidentally, another is on the way out right now. Damn, they look so good they nearly make the KG Works cluster look dull, you just want to geto a wrinkle spray can to update it to gen 3 flavour ! Awesome work ! With such vivid colors I cannot stop myself from wanting some crazy colored gauges lol. It’s almost hard to tame the colors. When redoing the DOGE gauges, I had to mute everything WAY down. The dog looked bright orange and neon instead of… dog like. Dont forget the BMW e30, im sure there would be plenty on guys interested. If they order it, I will create. Congrats on reaching a new “level” of product finish. Hard to believe that there was another level but no surprise that you would find it. After reading this I went and sat in my car to look at my guages (gen2) and I find it difficult to believe that the colors could be better and sharper. Thanks!! 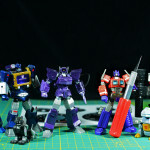 Yeah, taking the comparison shots amazed me too. I didn’t realize the difference was that dramatic. The real driving force behind this was to have gauges that would be long lasting throughout the world. UK winters are poison to the Gen2 gauges. Holy legit OEM+ quality, I thought your stuff was good before, but now I’m blown away!! Thanks Gabe!!! And yeah, they actually beat OEM quality now. Very similar finish, better colors and lighting, and mine can be cleaned off unlike OEM. Not all of them. I’m having to re-photograph EVERY gauge design I’ve ever made due to the new materials and finish. In some cases I’m redesigning things. As I do that, I’m updating the pages to have the new Gen3 info. 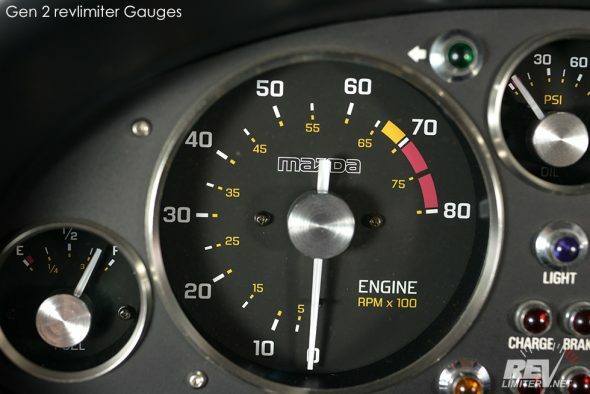 Need to get my gauges installed in the next two weeks before MATG. You do amazing work, man. Keep it up! Beautiful. I’ve been thinking about buying your gauges for a while now. Good things come to those who wait. Expect a message from me in the very near future. Adam, how will these Compare in cost? 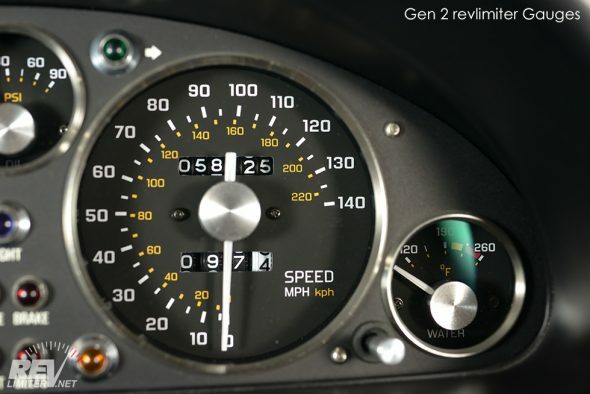 How soon can we reorder gen2 gauges? Will tweaking an existing custom design carry the same cost as with gen2 gauges? 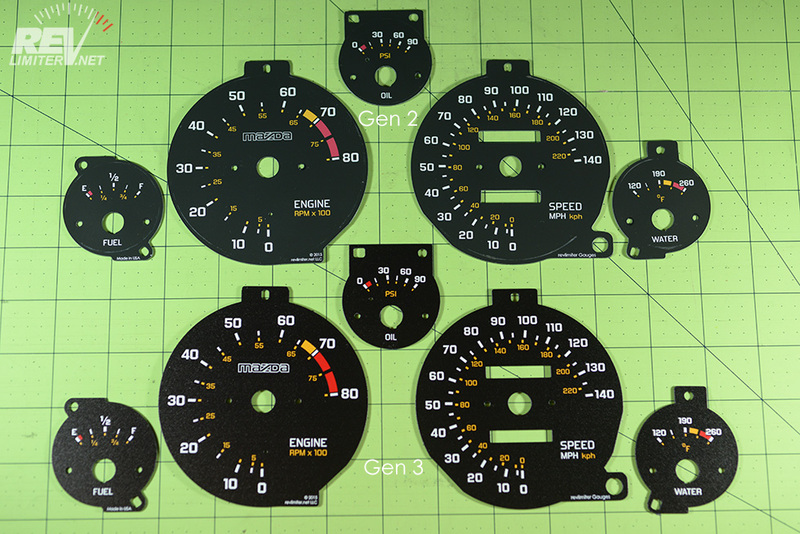 Gen3 gauges are already in the store and shipping. Cost has not changed. For other questions, please email me or fill out the custom order form. Gen2 always looked great, but the comparison is incredible. Gen3 pops like crazy! I’m excited to get an order in. what news about the faces gauges for NC ? I am very surprised to not find a lot things for this generation ( except the wonderfull work of ArtWorks-DEWA ) . Sorry for my french english . They should be out within a month. I’ve got 4 NC designs finished at the moment. I need information about it. 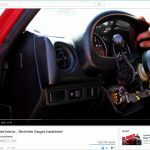 Just bought a ND miata and I am hoping that you will be making those gauges for the ND edition.